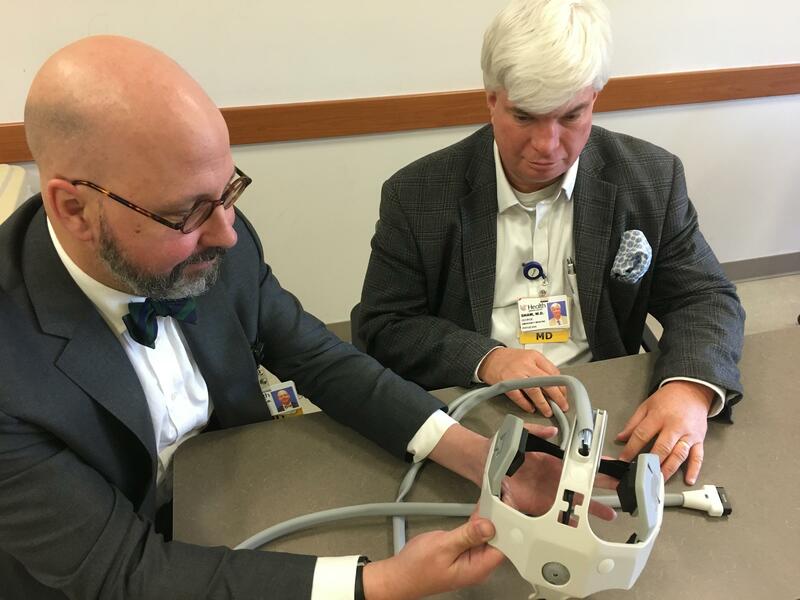 (from left) Dr. Matt Flaherty, MD and George 'Chip' Shaw, MD, PhD and the brain device they invented to monitor strokes in patients with brain injuries or diseases. 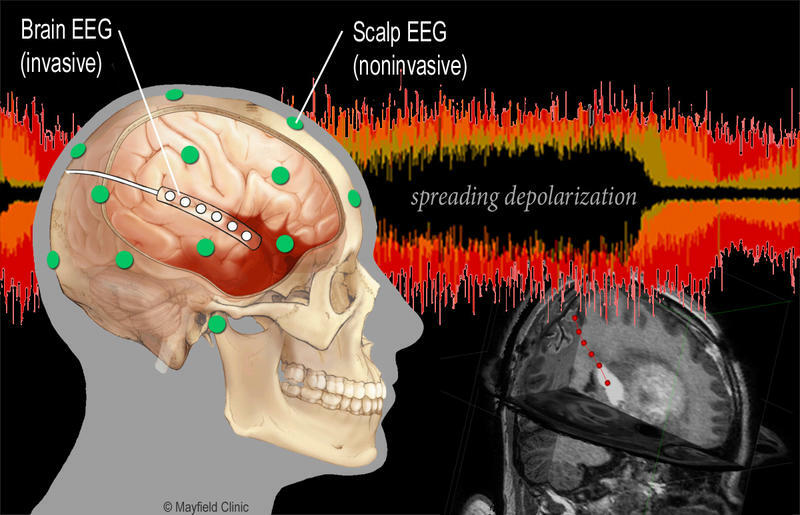 "We were all sitting in a bar at LAX waiting to come back from a stroke conference in 2008 or 2009 , something like that, and we are shooting around potential research ideas and it came up that a big problem is there's no non-invasive monitor of the brain." There is now. The device they invented is a headset complete with nine antennas that fit on a patient's head and use radio frequency waves similar to cell phone technology. A computer algorithm the analyzes the information to determine if the patient is having a stroke caused by bleeding within the brain tissue. According to Flaherty, "When there is a collection of blood inside the patient's head, these signals will scatter in a characteristic fashion and we are able to get from these scattered signals approximately were the blood is and approximately how big it is and certainly of change which can be an emergency." The doctors have created a separate company to develop their prototype device, called Sense Diagnostics. A clinical trial is underway.